It's 1976, and 10-year-old Sunny finds herself sent to her grandfather's home in a retirement community while her parents struggle to deal with her brother's substance abuse problems. Sunny isn't thrilled to be living in Pine Palms, but as the summer passes, she finds friendship, helps some of the local residents, and discovers a new favorite art form. 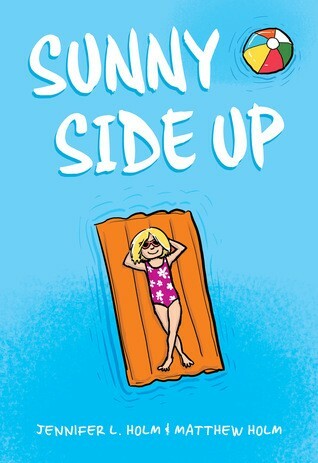 Following the lives of kids whose older brother's delinquent behavior has thrown their family into chaos, Sunny Side Up is at once a compelling "problem" story and a love letter to the comic books that help the protagonist make sense of her world. 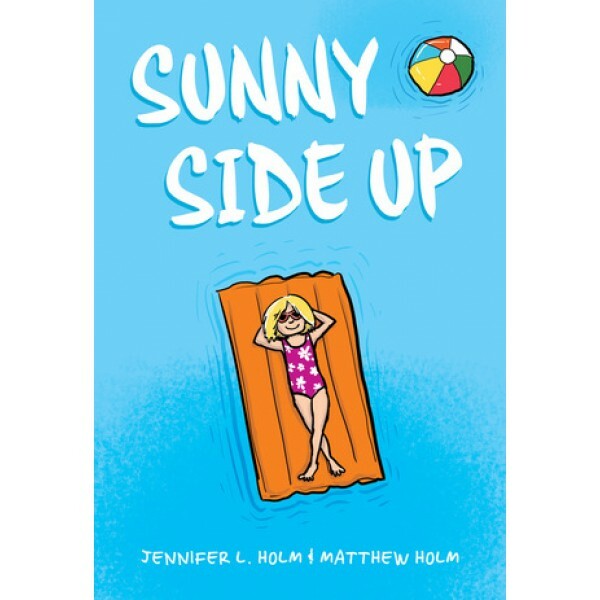 This funny and emotional graphic novel from sister-bother team Jennifer and Matthew Holm handles difficult issues like addiction and strained family relationships with sensitivity and compassion.